Algebra is the language of modern mathematics. This course introduces students to that language through a study of groups, group actions, vector spaces, linear algebra, and the theory of fields. 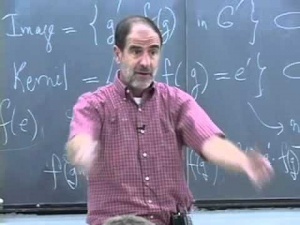 The recorded lectures are from the Harvard Faculty of Arts and Sciences course Mathematics 122, which was offered as an online course at the Extension School (E-222). Benedict Gross received his undergraduate and doctorate degrees from Harvard, and taught at Princeton and Brown before joining the Harvard faculty in 1985. He served as dean of Harvard College, chair of the department of mathematics, and as a member of several Harvard curriculum and faculty committees. Among his honors are the Cole Prize from the American Mathematical Society, and a MacArthur Fellowship. He is the co-author of the book The Magic of Numbers. CosmoLearning is promoting these materials solely for nonprofit educational purposes, and to recognize contributions made by Harvard University (Harvard) to online education. We do not host or upload any copyrighted materials, including videos hosted on video websites like YouTube*, unless with explicit permission from the author(s). All intellectual property rights are reserved to Harvard and involved parties. CosmoLearning is not endorsed by Harvard, and we are not affiliated with them, unless otherwise specified. Any questions, claims or concerns regarding this content should be directed to their creator(s).